Keren’s extensive experience in the real estate industry has earned her numerous awards and she is very respected by her peers. She has developed a very strong and loyal client base, not only within the local community but extends extensively with investors and developers throughout Australia. An active involvement in the promotion of Kalgoorlie-Boulder has always played a big part of Keren’s bubbly personality, supporting the local community through charity and sporting events. Interaction throughout the community is Keren’s strength, which has earned her the respect and confidence not only in the real estate market but as a friend and personality of Kalgoorlie. Keren, is the proud mother of two adult sons Ben and Elliot and takes any opportunity she can to visit them. 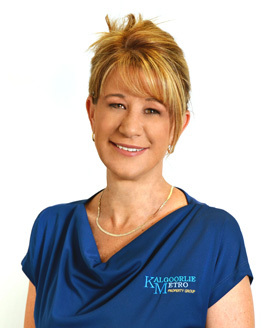 Keren looks forward to strengthening relationships and promoting the real estate market by embracing new technologies, moving into the realm of social media and online promotion to get the Kalgoorlie Metro Property Group message out as widely as possible.